UC CalFresh Nutrition Education Program offers no cost, no-prep nutrition education and training for educators to teach nutrition in the classroom. Learning about food groups and their importance for a healthy body is the foundation for students so they may experience healthy food tastings and recipes with UC CalFresh Nutrition Educators. Nutrition Educators visit participating classrooms throughout the school year to expose students and teachers to fruits and vegetables prepared in a variety of ways to encourage an increase of consumption. We show them how to prepare food safely, keep food safe and sometimes try simple recipes that are tantalizing and healthy at the same time! 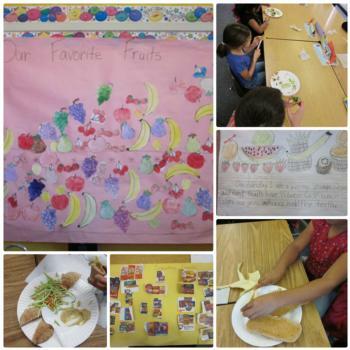 Students are engaged in the classroom tasting activity, encouraged to try new foods in a supportive and positive environment, and they carry the message home to their families through parent letters and recipes provided by UC CalFresh Nutrition Educators!